Technically, by SCCA GCR its not illegal. Its just terrible practice. Looks like some cage from an NHRA drag car builder, those guys have a real hard on for bends in the down bars. Its also a terrible idea to have to those terminate where they do behind the rear axle. Get hit hard enough in the rear and those bars can deform and damage the rest of the cage. Moving those points to the axle centerline/shock towers will allow the rear of the trunk floor to crush without affecting the roll cage. With the bends in those bars you have already created a failure point in the down legs. The tube is no longer loaded strictly in tension and compression, but also in bending. Very bad design. I would cut them out and weld in two straight bars. Simply add two crossed(X brace) angled bars from the top cage corners to new landing pads in the trunk. Put the new pads in front of the pads at exist. Sometimes I get a bit more crazier when reading the GCR/Rules/Roll Cage rules. I knew I had read the bends rule. 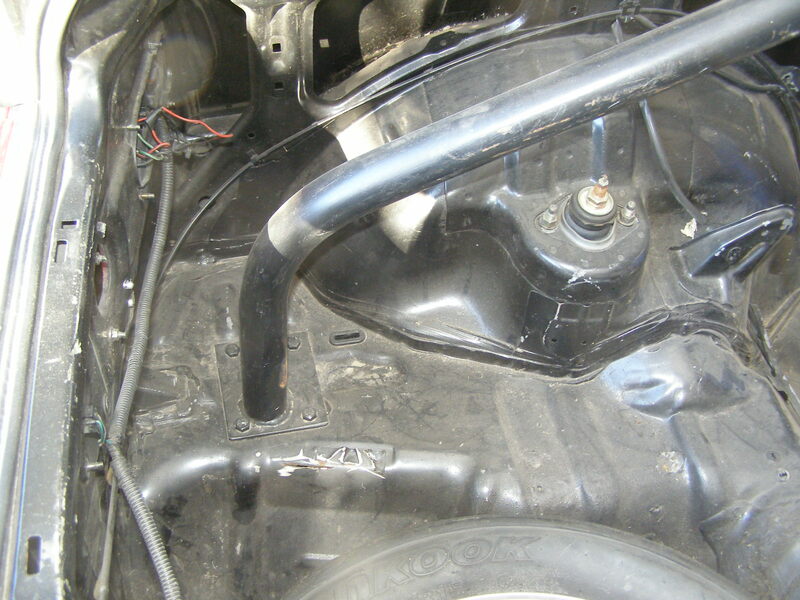 The roll cage bend requirements disappeared from the 2008 GCR forward. A question would be, were the bend rules haphazardly eliminated or was there an engineering study completed before they were eliminated? Said with a grin, Rick where are you? Front downtubes: 2 bends max. Rear hoop supports: No bends. If any of the above bend requirements cannot be met, all components of the roll cage shall be fabricated from tubing size(s) listed for the next heavier category of automobiles. David, do you know what year the car was issued it's first log book? If issued previous to year 2008 your copy/past would hold true, next heavier category. As I read todays rules and if this was a new build, within my reading capabilities it would be legal with bend in rear braces. Without getting into anchor location or forces. When all else fails call Topeka, 1-800-770-2055. From previous posts within this thread I'd say if this car is log booked for production the bent brace would be legal. Car 54 (Jim Creighton), where are you? Or send a message to Jim.